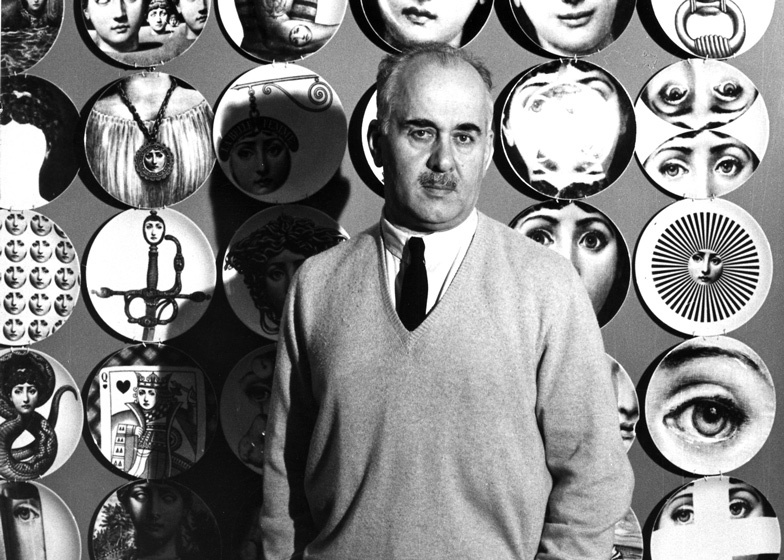 This year marks the 100th anniversary of the birth of Fornasetti founder Piero Fornasetti (above). With a new wallpaper collection for Cole & Son coming out this month, we met up with Piero's son, Barnaba Fornasetti (below), who told us the story behind the eccentric Italian design house that he now heads (+ interview + slideshow). 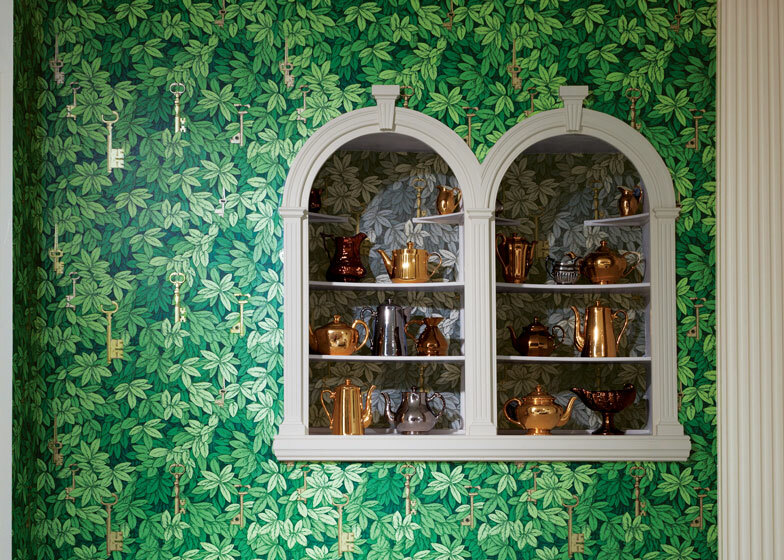 Marcus Fairs: Tell us about the collaboration with Cole & Son [see our previous story]. What is the thinking behind it? 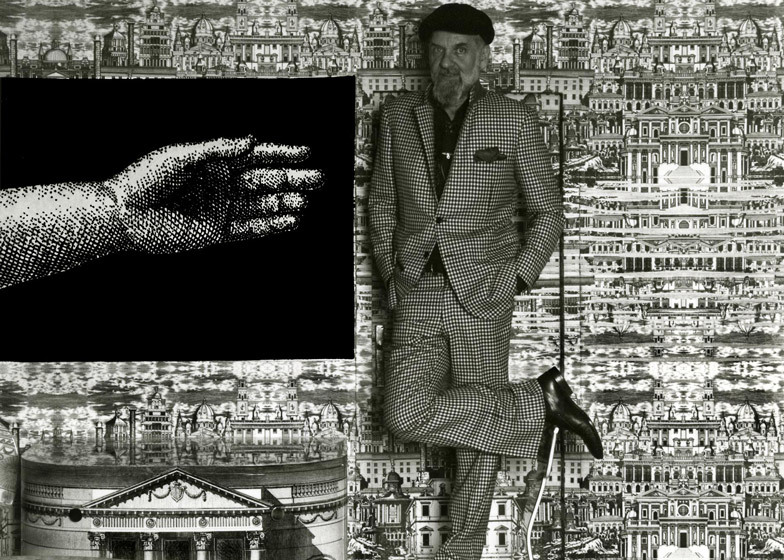 Barnaba Fornasetti (pictured above): We decided to make a second collection for Cole & Son wallpaper. I was thinking of doing something a little more than a normal wallpaper, to give the opportunity to have something to stick on the wall with some more fantasy, to be more creative: applying the wallpaper in a different way so that is not only a wallpaper but is something more. So I decided to do vertical rolls and horizontal rolls, and rolls that can be combined together. For example, we have the clouds that can be combined with balustrades and flying machines. You can choose to make only clouds with the balustrade or only a piece of the flying machine with clouds, or as this example of trompe-l'œil can put together a bookcase, an armoire, some objects and a trompe-l'œil wallpaper, and open windows and you can decorate a room without furniture. And you can also put a sky, if you want to put the wallpaper on the ceiling, you can make it. So, it’s a different way to use wallpaper. Marcus Fairs: And these are all drawings that you’ve discovered in the archive of your father? 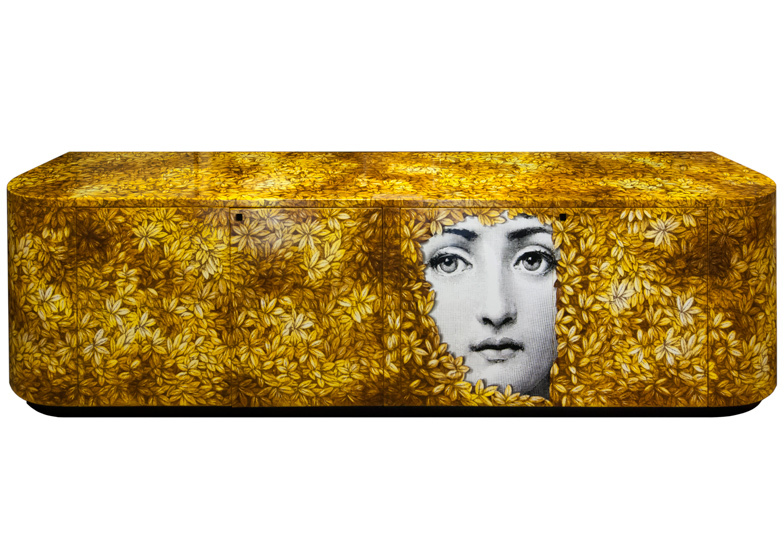 Barnaba Fornasetti: Yes, there are many themes that are taken from the archive. The archive is full of ideas that were used in different ways, mostly as decorations for objects like screens, umbrella stands and different accessories. So I chose things and I mixed them together, and I changed the colour, I changed the dimensions. There result I think is quite good. Above: The "Palladiana" chest of drawers. Marcus Fairs: Tell us a little bit about how your father started and how the Fornasetti brand grew. Barnaba Fornasetti: He had a volcanic imagination. He woke up every morning with a different idea, and he would start to work on this idea with artisans and his employers, and he would forget what he was doing the day before. So it was very difficult to administer this imagination in an economical and sustainable way. When I received this heritage it was very difficult to continue, trying to channel it, trying to stop too much imagination and finding a way to be concrete in some way. Marcus Fairs: How many drawings did he produce during his lifetime? Barnaba Fornasetti: When I did the book [Fornasetti: The Complete Universe, published by Rizzoli in 2010, below] it was said that he had created about 11,000 different objects but we realised that it was more, probably about 13,000 different objects. Marcus Fairs: And he drew all of these in his house, in your house, in Milan? 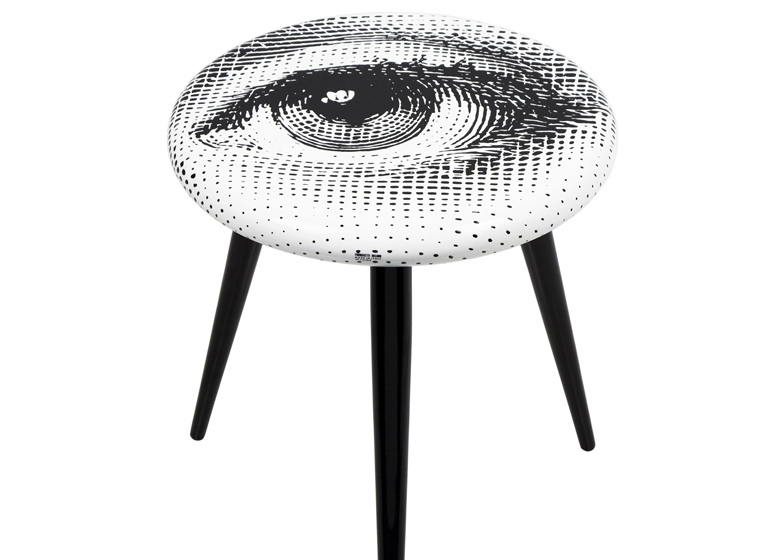 Barnaba Fornasetti: Yes in the house. There are many that are archived in the house, in storage; the attic is full of things. It is reduced now, but there is a lot of material there still. Marcus Fairs: How would you describe your father’s style? He mostly worked in pen and ink, is that right? Barnaba Fornasetti: Yeah the graphic drawing is the base of his ideas, his style, his culture. He was a photographic printer, printing for many other artists. He started as an artist and he became an expert in printing with different techniques. He used lithography for example to print on silk, so the first example of applied art by my father was the silk scarf, a headscarf in silk, printed with lithography and other techniques together. Fashion in some ways was one of the first experiences. He received the Neiman Marcus award [for Distinguished Service in the Field of Fashion] in 1959 in the field of fashion, not because he was a fashion designer but because a big inspiration in the field of fashion. 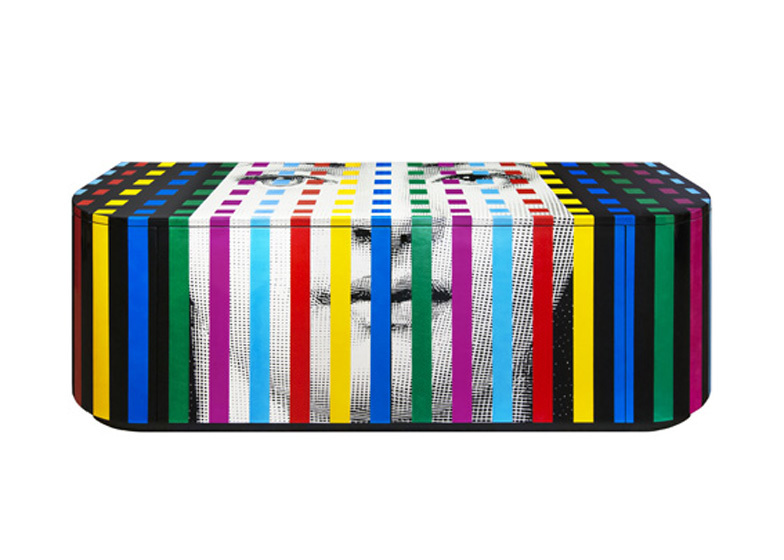 Marcus Fairs: Gio Ponti helped him establish Fornasetti as a brand. How did that come about? 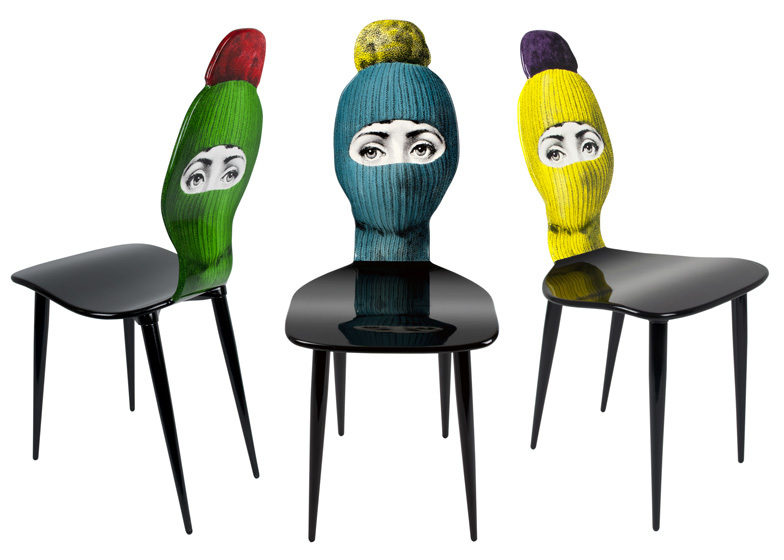 Barnaba Fornasetti: They had this idea to combine industry with craft and art, to put decoration and art into everyday objects; to give the possibility for the wider public to have objects decorated especially with Italian art, with Surrealism. But industry doesn’t understand this kind of eccentricity, these kind of strange themes. So they didn’t get it and didn’t want to mass produce them. So he decided to start his own atelier and make a production that was selective, that was limited, not by choice but because it was difficult to produce industrially. Marcus Fairs: And what was the role of Gio Ponti in that? 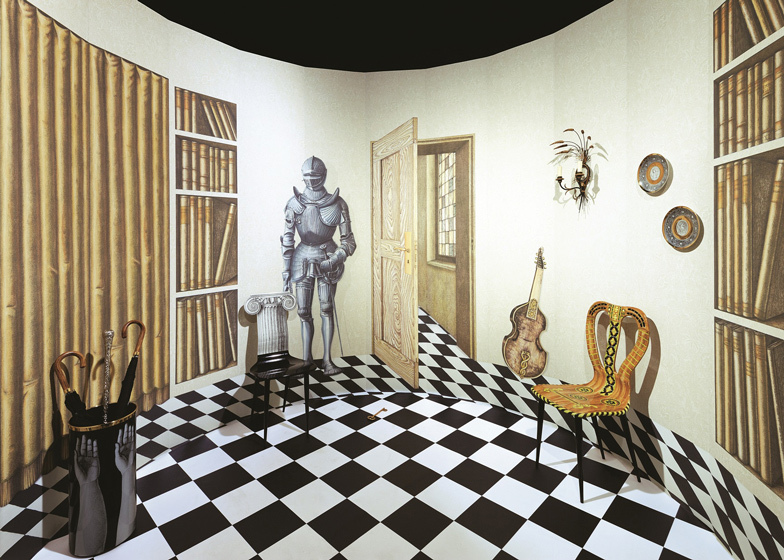 Barnaba Fornasetti: Gio Ponti was like a guru for my father. He was the guy who discovered the fantasy but not only the imagination of my father, but also the skill, the knowledge of techniques. He was able to invent technical ways to apply decoration to objects. The secret of Fornasetti is many artisans’ skills, many artisans’ secrets, put together, made by their ability to use their hands. 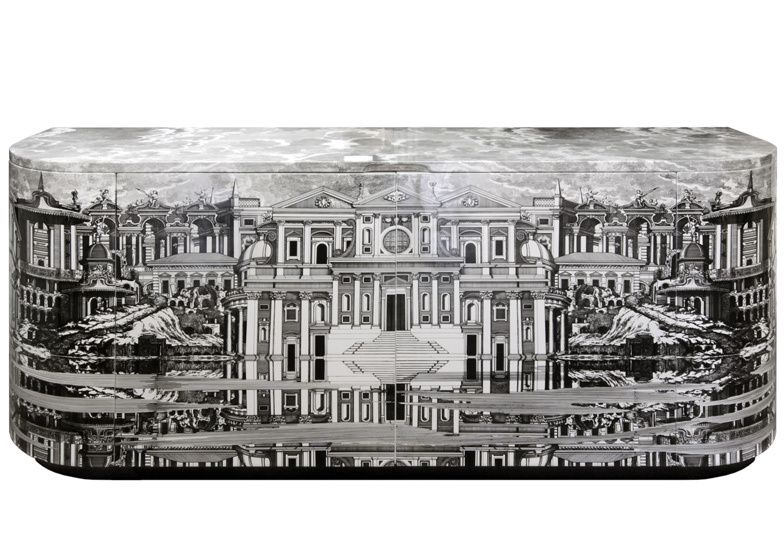 Above: The "Architettura" trumeau-bar by Piero Fornasetti. First exhibited in 1951. Marcus Fairs: What was your father like to work with? Barnaba Fornasetti: He was very egocentric, he was a very strong character and was difficult to collaborate with, especially at the beginning. I was a very hippy thinker and lazy, like all my generation at the time in the 60s. So I was frequently fighting with him. But a few years after moving away from home and finding my own job I saw he needed help and I came back. It was very interesting and a pleasure for both to be together. Marcus Fairs: And he passed away in the late 80s? Above: “Zebra” Small curved cabinet by Barnaba Fornasetti. Wood. Printed, lacquered and painted by hand. Marcus Fairs: How do you now balance the need to make a business with being true to your father’s ideas? What is the strategy of Fornasetti now? Barnaba Fornasetti: The strategy is to continue in a way of making things not related to products, because I think we have too many products around us, there is too much production of things that we don’t need. I think we need food for the soul, imagination, decoration - because decoration is something that gives flavour to life, for the eyes and to stimulate vitality. It’s like music. Can you imagine a world without music? It would be sad, you know. Decoration is the same thing. We need decoration, I think. It’s something that we need for living better. 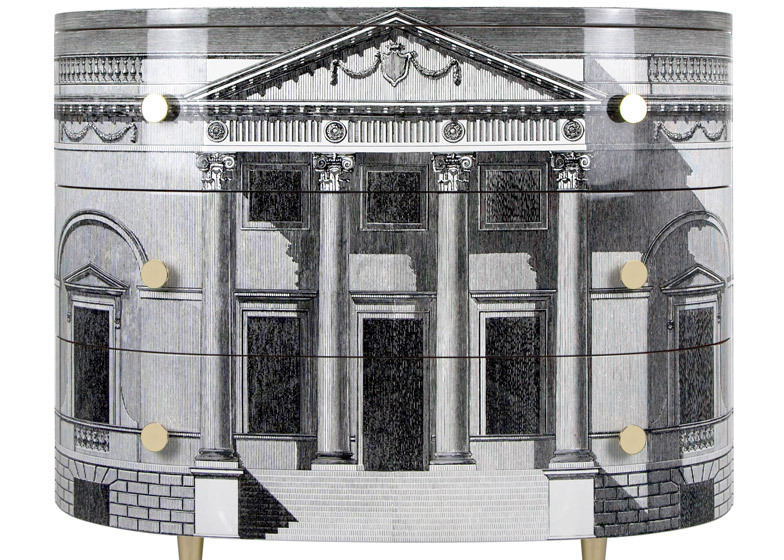 Marcus Fairs: And Fornasetti now licenses Piero’s designs to selected companies? Barnaba Fornasetti: We have some licensing agreements in specific fields that are not the speciality of our company. We do furniture and china internally and also we do collaborations for wallpaper, scented candles, fabrics and other different things. I like collaborating with other designers that work in a particular field.